Wat is dit voor site? Wij zoeken de goedkoopste boeken op internet. After the Rights Revolutionvonden we het goedkoopst op Bol.com voor €40.99. We hebben gezocht in nieuwe en tweedehands boeken. Rechtsonderaan de pagina kan je het boek direct bestellen	via Bol	.com. In the twentieth century, American society has experienced a rights revolution : a commitment by the national government to promote a healthful environment, safe products, freedom from discrimination, and other rights unknown to the founding generation. This development has profoundly affected constitutional democracy by skewing the original understanding of checks and balances, federalism, and individual rights. Cass Sunstein tells us how it is possible to interpret and reform this regulatory state regime in a way that will enhance freedom and welfare while remaining faithful to constitutional commitments. Sunstein vigorously defends government regulation against Reaganite/Thatcherite attacks based on free-market economics and pre-New Deal principles of private right. Focusing on the important interests in clean air and water, a safe workplace, access to the air waves, and protection against discrimination, he shows that regulatory initiatives have proved far superior to an approach that relies solely on private enterprise. 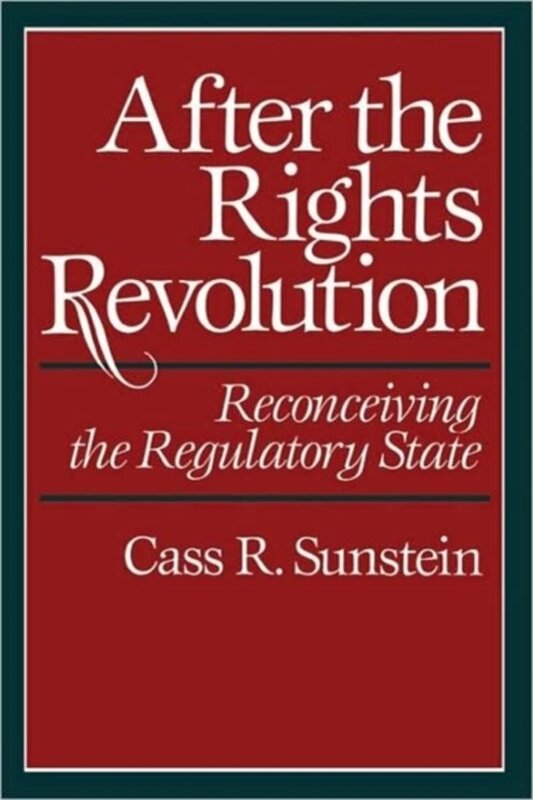 Sunstein grants that some regulatory regimes have failed and calls for reforms that would amount to an American perestroika: a restructuring that embraces the use of government to further democratic goals but that insists on the decentralization and productive potential of private markets. Sunstein also proposes a theory of interpretation that courts and administrative agencies could use to secure constitutional goals and to improve the operation of regulatory programs. From this theory he seeks to develop a set of principles that would synthesize the modern regulatory state with the basic premises of the American constitutional system. Teachers of law, policymakers and political scientists, economists and historians, and a general audience interested in rights, regulation, and government will find this book an essential addition to their libraries.